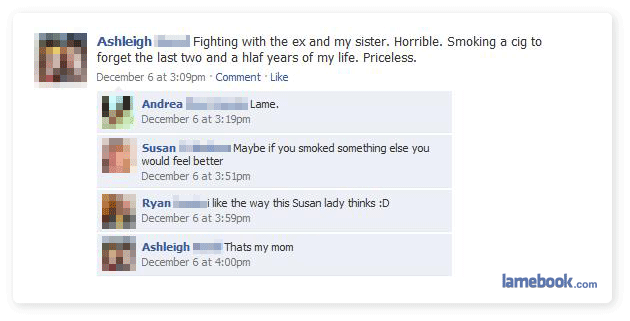 That Susan is my kind of girl. Can I adopt Susan as my second Mom? Susan is the best mum ever. Wish mine was like that. Ed, sir, I salute you, enjoy the awkwardness of the next time you visit Joe’s house. These posts are pure win. Poor Mrs. P – Imagine her losing sleep at night worrying about ending up with countless grandkids with all the requisite baby mama drama.